This ultra-rich SkinMedica moisturizer cream intensely hydrates and replenishes dry skin with high levels of lipid soluble antioxidants, vitamins C and E.
I have used this product for years along with other SkinMedica products. This is my favorite moisturizer. Works especially well together with the TNS products. I also love the fresh scent. I have tried many creams & this product is worth the money. It is not greasy, absorbs quickly & leaves my skin moisturized. 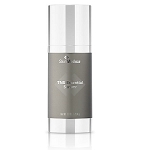 I also use SkinMedica's vitamin C + E complex & the two products together deliver great results. 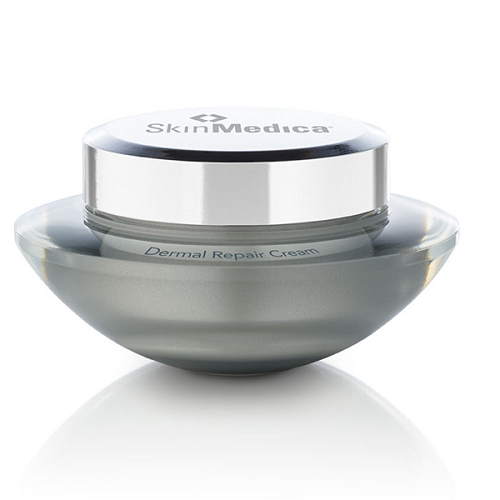 When applying dermal repair cream you don't need to use very much so the product lasts. My dermatologist recommended this product. It heals overnight! I love it! The scent takes some getting used too but it's worth it for the results. I have already gone through two jars. Love this product--see great results with it. Not too greasy. Tocopheryl Linoleate - A vitamin E/fatty acid derivative that helps keep the skin moist and supple by enhancing the skin's natural barrier to prevent moisture loss. Sodium Hyaluronate (Hyaluronic Acid) - A derivative of hyaluronic acid that naturally occurs in the skin and is part of the extracellular matrix. Has the ability to retain up to 40 times its weight in water on the surface of the skin which gives immediate smoothness to rough skin surfaces and significantly improves overall skin condition. Algae Extract - An extract derived from a wide variety of plants grown in seawater and fresh water. Helps normalize the skin's moisture content and provides skin-softening, remineralizing vitamins and antioxidants to the skin.